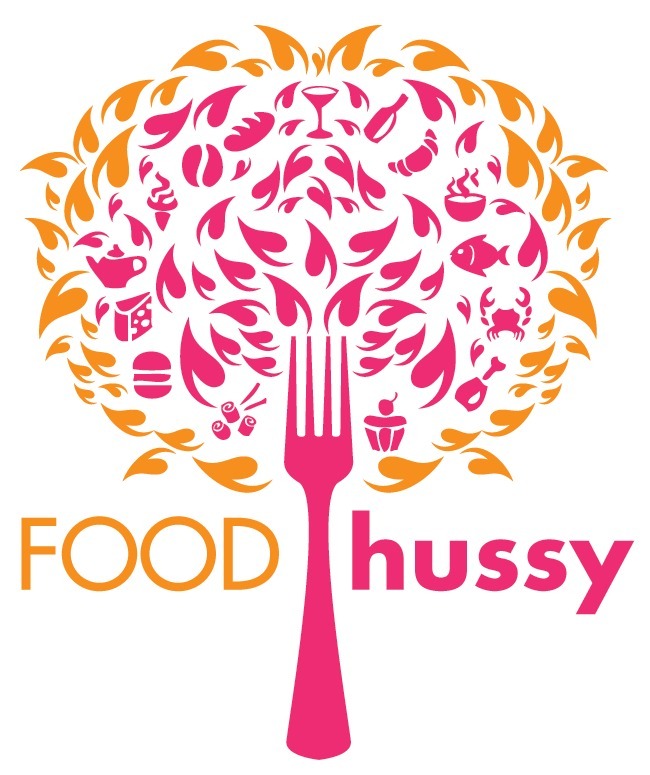 Recipe: Easter Caramel Peanut Butter Cookie Fudge | The Food Hussy! This post is sponsored by Goetze's Candy. All opinions are my own. 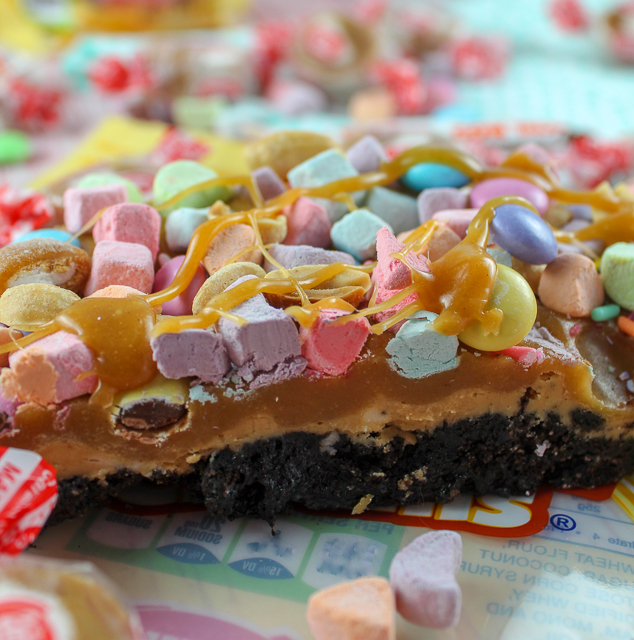 This cookie fudge is so much fun - it's blooming with Easter colors and treats! 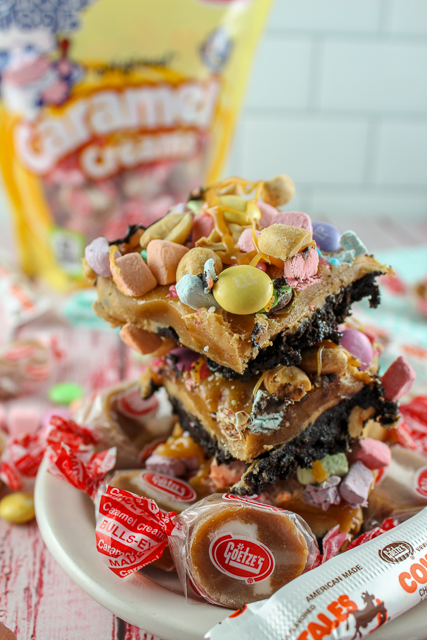 There are 4 layers to this amazing dessert: Oreo cookie base + peanut butter fudge layer + caramel layer + candy topping! It's a perfect dessert for Easter or your Spring parties - it's bright and springy - crispy and chocolatey. This time around we added a caramel layer - it's so delicious and EASY!!!! This is definitely a no-bake recipe! There's an Oreo layer topped with a peanut butter layer and then CARAMEL! 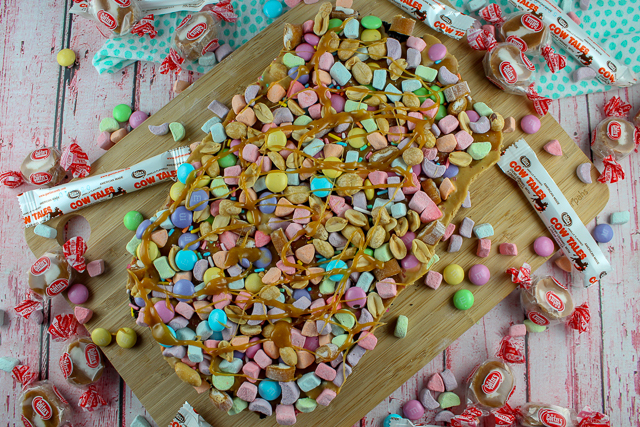 The caramel layer is made easy by using Goetze's Caramel Creams - I always have a bag on hand! You can find these bullseye caramel creams at Walmart. They melt really easily if you just add a little cream to them. After the caramel - you top it with all sorts of fun! I had Easter m&ms (pastel colors), found a bag of "cereal marshmallows" on an Amish store trip, peanuts and Cow Tales! You might as well add more caramel - right? 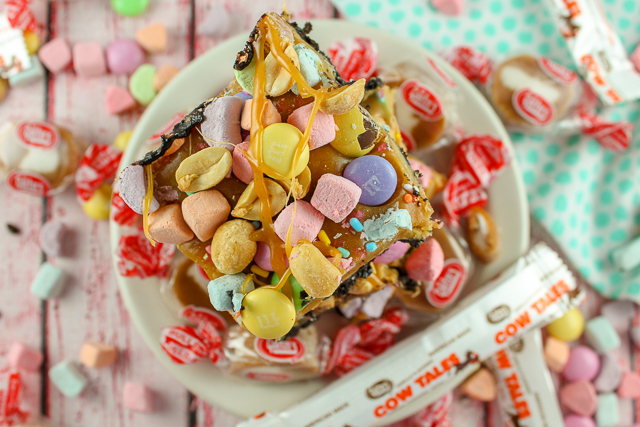 These Caramel Peanut Butter Cookie Fudge bars are so delicious and fun to decorate - you just sprinkle it all on top, pat it down a bit and then pop it in the fridge to set up a little. Dessert done! And it's no-bake and egg-free - woohoo! You can also try the original Fudge and the St Patrick's Day Fudge! Looks delicious! Perfect easter treat!